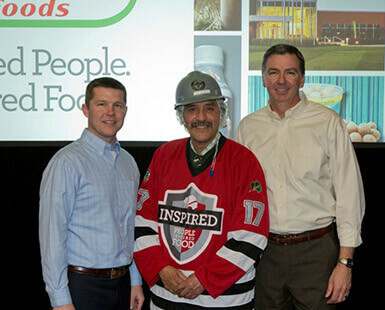 Daniel Gallardo has spent most of the past 44 years in same building: the Dold Foods plant in Wichita, Kan. What’s more, he wouldn’t have it any other way. 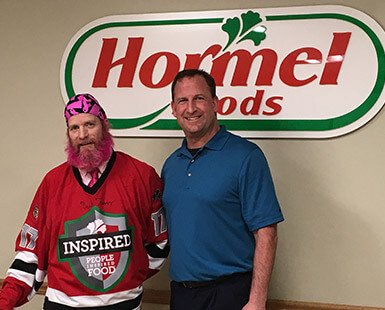 Daniel is the first member of the Dold Foods team to receive the Hormel Foods jersey in the Pride of the Jersey award program currently underway. “We wanted to pick someone who represented our cultural beliefs and Danny came to mind right way,” says Dold Foods Plant Manager Joe Peine, who met Daniel on his first day on the job three years ago. “People told me, ‘This is someone you need to get to know,” he says. 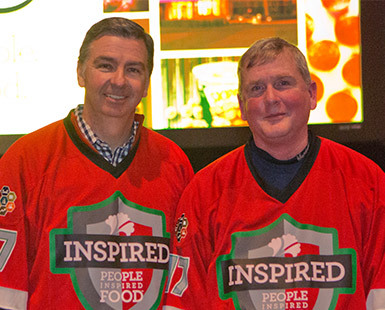 Daniel became part of the Hormel Foods team in 1984 when the company acquired Dold Foods. Throughout the years, he’s earned the respect and admiration of his co-workers because of his work ethic and his ability to “be part of the solution,” Joe says. The ability to look ahead and anticipate what could happen may well be the sign of Daniel’s early training in sports. He “played almost everything you can name” and even considered making a career of boxing. An eye injury and a sense of responsibility to his growing family changed his mind. Still, he owned and operated two boxing gyms in Wichita and beams with pride when he recounts how his cousin won a bronze medal in the last Olympics. Rest assured that Daniel has no regrets over what might have been, keeping his hand in sports by coaching baseball and boxing. He relaxes with golf and fishing, all the while savoring the stability and friendships his job has given him. 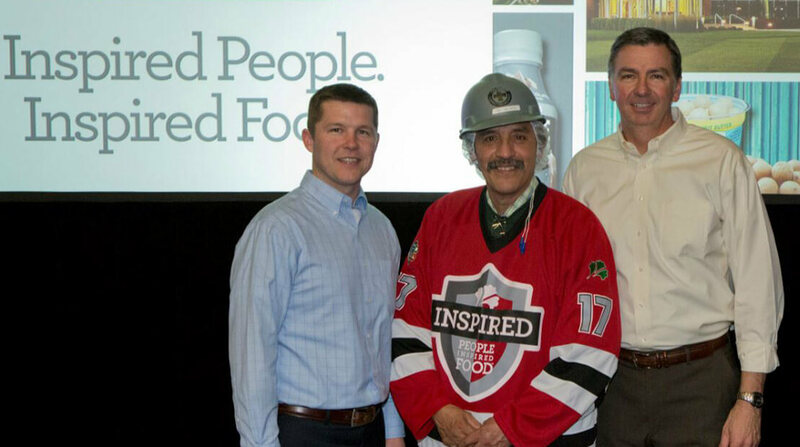 Receiving the jersey from Hormel Foods President and CEO Jim Snee was a special moment for Daniel, especially since he thought he was there to accept a safety award for the plant. “I was surprised, happy and kind of choked up,” he says. 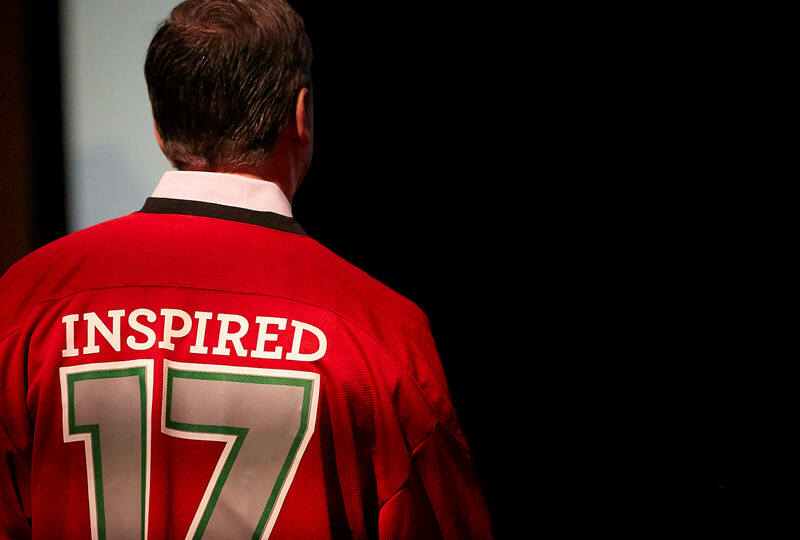 Daniel wore the jersey at home all week but wouldn’t let his family members give it a spin. That privilege he kept for himself.